Ever tripped over a rope on your dock? How about spent time searching for the rope in the front storage bin of your Sea-Doo while trying to hold onto the dock with the other hand? Are your ropes a wet slimy mess by the time you are securing your Sea-Doo to the dock? We have the answer to all of these hassles…The Sea-Doo Speed Tie. The Sea-Doo Speed Tie is designed to make boating simple and easy. It includes a fully retractable line with 8’ of concealed technical rope, lockable at any length. The Sea-Doo Speed Tie is strong enough to securely moor your Sea-Doo watercraft to the dock in all conditions. The watercraft mounted version of the Sea-Doo Speed Tie is fully integrated and can be installed easily on your Sea-Doo. The PWC version comes with two assemblies: a speed tie for the helm and one for the transom. 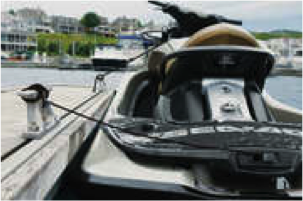 Anyone with basic mechanical ability should be able to install this fully-integrated PWC mooring system, or you can take your Sea-Doo watercraft to your local dealer for installation. 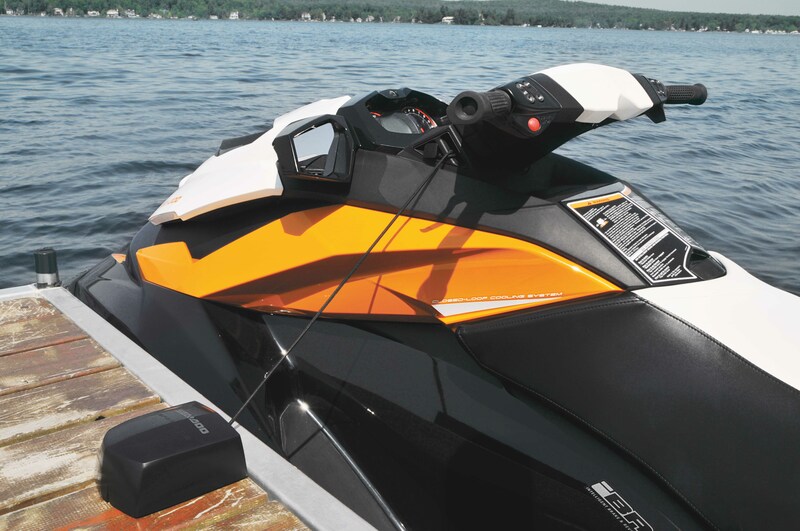 The Sea-Doo Speed Tie can be added to any model and is standard on the GTX Limited 2012 model. See your dealer to determine the part number that is specially designed to fit your PWC. We also have a version of the Sea-Doo Speed Tie designed for installation on your dock. This package includes two Speed Tie assemblies’ that bolt directly to your dock, eliminating excessive rope on the dock. This version also has 8’ of retractable line and locks to the desired length and can be used for ANY Sea-Doo model. The BRP exclusive mooring system includes mounting hardware designed to make installation quick and easy. Just attach it to the dock, snap the protective cover over the system and you are ready to use your new, tangled rope free, mooring system. The Sea-Doo Speed Tie is sold as a pair and the Sea-Doo Speed Tie for Dock is sold individually. They can be purchased on store.sea-doo.com or at your nearest Sea-Doo local dealer.